Human drivers can live with a GPS system that tells them they're on a side road when they're actually in a parallel street right next to it. But for driverless cars we need higher precision, and that's what TomTom is working on with HD Maps and RoadDNA. Though GPS can provide precise locations, it's use for civilian purposes is usually restricted to a lower precision level. Also, for autonomous driving, we need not only to be sure in which road we are, but also on which lane - which is where RoadDNA comes in. Instead of relying solely on the GPS data, RoadDNA creates a 3D snapshot of the surrounding are using LIDAR. 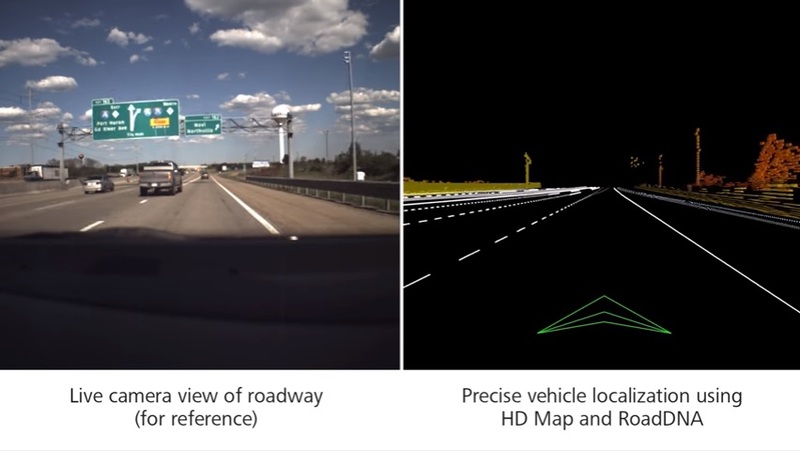 This 3D map becomes the frame of reference that can be used by a driverless car to precisely pinpoint its location on the road, down to a dozen centimeters or so. As more and more cars using these systems travel our roads, they could even contribute to keep such maps automatically updated, reporting drastic changes which could be validated via crowdsourcing.